Return to User Guide table of contents. 1. What is open data? Open data is publicly available data that is structured in a way that enables the data to be fully discoverable and usable by end users. It is public, accessible, fully documented, reusable, complete, timely, and updated or managed following release. 2. Where do I find definitions for terms referenced in the policy? Please see ADS 579.6 for definitions of terms. Clarification of the terms “non-proprietary” and “machine readable” is found in ADS 579.3.2.6. Additional definitions can be found on Project Open Data. 3. Where do I find USAID’s open data policy? USAID’s Automated Directives System (ADS) contains the organization and functions of USAID, along with the policies and procedures that guide the Agency's programs and operations. ADS 579 – USAID Development Data is USAID’s open data policy. For a summary of the policy, please see our one page fact sheet and blog entry announcing the release of the policy. USAID staff can also access the related Agency Notice. Please see Question 16 for assistance locating information related to specific award types. 4. Is USAID acting alone in its open data efforts, or is this part of a larger trend? At the Fourth High-Level Forum on Aid Effectiveness in Busan, South Korea in November 2011, the United States announced that it had joined the International Aid Transparency Initiative (IATI). IATI aims to improve foreign assistance transparency via a common data reporting standard. The U.S. Government reports foreign assistance financial data using the IATI standard at the foreignassistance.gov website. The United States is a member of the Open Government Partnership(link is external), a consortium of over 60 countries “committed to making their governments more open, accountable, and responsive to citizens.” These stakeholders acknowledge that openness with our data and engagement with citizens leads to improved services, economic growth, innovative solutions to complex problems, and improved stewardship of public resources. 5. Is USAID the only U.S. Government agency opening its data to the public? No. Please consult the Project Open Data Dashboard for a list of U.S. Government agencies and their compliance with the open data mandate. In January 2009, President Obama signed the “Memorandum on Transparency and Open Government.” This was the first executive action to bear the President’s signature and committed the U.S. to an “unprecedented level of openness in government.” And more recently, in May 2013, the President signed an executive order making all new and modernized U.S. Government (USG) information resources “open and machine readable by default,” which is further elaborated in the U.S. Government’s Open Data Policy. This means that it is no longer incumbent upon the American people to file requests for data generated by the U.S. Government, but it is incumbent upon the USG to proactively release data funded by the American taxpayer, insofar as doing so does not violate certain exceptions related to privacy, security, and other considerations allowable by law. 6. Is open data really that valuable? How can it benefit my organization or operating unit? A recent report from McKinsey and Company(link is external) estimates that opening data to just a handful of subject areas could generate more than $3 trillion in value. In addition to generating economic opportunity, empowering citizens, enhancing government transparency, and improving efficiency of public services, open data has the potential to break down information barriers, allowing comparative benchmarking and the sharing of best practices that improve performance. In response to the 2010 drought in the Horn of Africa, USAID partners were able to reposition food supplies based on maps and visualizations created from open data. M-Farm, an organization in Kenya created a mobile application using publicly available crop price data to connect farmers with markets and to help them select crop varieties likely to yield the greatest income. Please visit the Open Data Research Network (link is external) and the Open Data Institute(link is external) for more information regarding the impact of open data in developing countries. 7. What kinds of data must be submitted to the Development Data Library (DDL)? See ADS 579.3.2.2 for additional detail. In accordance with the clause/provision in their award entitled, “Submission of datasets to the Development Data Library (DDL),” implementing partners must submit to the DDL datasets that are used (or of sufficient quality) to produce an Intellectual Work. (Please see Question 16 for the location of clauses/provisions for specific types of awards). “Intellectual Work” includes all works that document the implementation, monitoring, evaluation, and results of international development assistance activities developed or acquired under the award, which may include program and communications materials, evaluations and assessments, information products, research and technical reports, progress and performance reports required under this award (excluding administrative financial information), and other reports, articles and papers prepared by the contractor under the award, whether published or not. The term does not include the contractor’s information that is incidental to award administration, such as financial, administrative, cost or pricing, or management information. datasets that are incidental to award administration might include, for example, those related to implementing partner office supply inventories, staff hours expended on specific activities, or equipment maintenance history. Only the data used to produce the Intellectual Work must be submitted to the DDL, not the Intellectual Work itself. Implementers must generally submit the actual Intellectual Work (or “Development Experience Documentation”) to USAID’s Development Experience Clearinghouse per the applicable clause/provision “Submission Requirements for Development Experience Documents/Submissions to the Development Experience Clearinghouse and Publications.” See also ADS 540.3.2.4 – 3.2.5. Awards also specify that, “The contractor/recipient must submit to the Development Data Library (DDL), at www.usaid.gov/data, in a machine-readable, non-proprietary format, a copy of any dataset created or obtained in performance of this award, including datasets produced by a subcontractor at any tier.” Data collected under existing awards using paper or non-machine based methods do not meet the definition of the term “dataset” as defined in the clause/provision of the award or in ADS 579.6, nor do they qualify as machine-readable per ADS 579.3.2.6.b. It is not required to submit these data to the DDL. Converting existing paper-based or non-machine-readable data into machine-readable formats for submission to the DDL is also optional. This decision, as well as any related funding adjustments, must be made in consultation with the Contracting Officer/Agreement Officer for the award. Some USAID operating units may have datasets on hand that meet the criteria outlined above and which were provided to them by implementing partners, prior to the issuance of ADS 579. USAID is also asking its missions and other operating units to submit this data to the DDL so that the Agency can fully account for its data. 8. As an implementing partner, we already submit routine monitoring (indicator) data directly to a USAID mission or other operating unit. Do we also need to submit this data to the DDL? It is also important to note that some USAID operating units generate data that is not directly related to “international development assistance activities.” Per the Executive Order and OMB Policy on open data, however, USAID must still account for this data. Examples might include partnership or public relations data; veterans hire data; or training, travel, and facilities data. Even if portions of this data cannot be made public, USAID operating units must still submit this data to the DDL for inventory purposes. Regardless of whether the data is monitoring data or another type of data, the principle remains the same: if the partner has an underlying, machine-readable dataset that contains data funded by USAID, the partner must submit the dataset to the DDL. Partners generally report aggregate indicator numbers to USAID missions but do not provide missions with the raw datasets behind those numbers. Whether related to mandatory indicators or non-mandatory indicators, the partner must submit the raw datasets underlying those indicators to the DDL. Example: A USAID mission elects to report on Performance Plan and Report (PPR) standard indicator 4.4.3-13, “Kilometers of roads constructed or repaired with USG assistance.” The mission may be funding multiple implementing partners to construct or repair roads. Each partner may be constructing or repairing roads in multiple districts. Each partner would then transmit to the USAID mission on a quarterly basis, the total number of kilometers of road constructed or repaired across all districts in which they are working. However, partners will also generally have underlying databases or spreadsheets where they are recording the disaggregated number of kilometers constructed or repaired in each district. Required submission: The data contained in the underlying spreadsheets or databases must be submitted to the DDL. Partners must submit data to the DDL in a machine-readable, non-proprietary format and accompanied by supporting documentation whenever available (see the applicable clause / provision noted in Question 16). See also ADS 579.3.2.6for additional detail). 9. What if USAID only funds part of the total costs of the data collection? For example, other donors may co-fund a data collection with USAID, and host governments may contribute staff time or other in-kind support for data collection. Given that U.S. Government (USG) funding supported the data collection, the USG has the right to obtain and use the data. This holds true regardless of whether the data was an award deliverable or whether the data collection was funded in whole or in part by the USG. For more detail, please consult 48 CFR 52.227-14 (Federal Acquisition Regulation (FAR)) for acquisition awards and 2 CFR §200.315 for assistance awards. 10. Is it obligatory to submit qualitative data to the Development Data Library (DDL)? Yes, insofar as the qualitative data is contained within a dataset. The DDL submission requirement pertains to datasets, which per OMB or USAID definitions are organized or structured, irrespective of whether they contain qualitative or quantitative data. Generally, qualitative data in the form of unstructured text (e.g. reports, studies, evaluations, publications, etc.) are submitted to USAID's Development Experience Clearinghouse (DEC). However, in instances where unstructured qualitative data help to clarify or contextualize a specific dataset, the unstructured qualitative data (such as transcripts, interview responses, or focus group notes) can be submitted to the DDL. Submitting this type of unstructured data to the DDL is optional. 11. I understand that ADS 579 went into effect for all new awards as of October 1, 2014. What about awards that were issued prior to that date? In October 2014, USAID’s Office of Acquisition and Assistance also posted bilateral modifications for active awards issued prior to October 1, 2014, to include the Development Data Library (DDL) data submission clauses and provisions. Implementing partners were notified of these modifications via USAID’s Implementing Partner Notices (IPN) acquisition(link is external) and assistance(link is external) portals. Please see the IPN clause/provision in your award or ADS 302.3.5.21 and ADS 303.3.31 for more information on the IPN portals. Per the clause / provision, upon receiving these notices, implementing partners can (1) sign and return the modification / amendment to the cognizant Contract Officer / Agreement Officer (CO / AO); (2) notify the cognizant CO/AO in writing that negotiations/discussions will first be necessary to effect the proposed change to the award; or (3) notify the cognizant CO/AO that the implementer declines to sign the modification / amendment. Please note: The period of performance for many existing awards issued prior to October 1, 2014, is significant – up to four or more years. Without this clause / provision, there could be a significant gap in data submissions over the next several years, thereby limiting USAID's ability to comply with open data requirements. 12. The Implementing Partner Notices portal notes that it “does not replace current federal venues for proposed rule changes such as the Federal Register.” How is USAID addressing the rule making process? USAID will pursue rule-making for this policy change in the near future. 13. What are the ramifications of an implementing partner not signing the bilateral modification for an existing award? Per the IPN clause / provision in the award, if an implementing partner contacts a CO / AO within 15 days after receiving the bilateral modification notice to initiate discussions or declines to sign, the CO/AO may elect to change the terms of the award to accommodate the partner’s concerns so that the bilateral modification/amendment can be issued. The CO / AO may also accept the implementing partner’s refusal to sign the proposed bilateral modification/amendment. Given that open data is becoming the norm, USAID strongly encourages its partners to give serious consideration to signing the modification so that they are prepared to meet emerging open data requirements throughout the international development community. 14. When must implementing partners modify existing sub-awards? Once the prime award recipient (“prime”) has signed the bilateral modification, the prime is responsible for ensuring that all sub-awards contain the same Development Data Library (DDL) submission requirement contained in the prime award. Sub-awards must be modified immediately so that sub-awardees have ample time to begin complying with the DDL requirement. 15. As part of an existing award, an implementing partner is generating analytical products (“Intellectual Work”) based on underlying data. Should the partner submit the data that supports the Intellectual Work to the Development Data Library (DDL)? Yes. Once the partner’s award has been modified to include the applicable clause / provision, the partner must submit the data that supports the Intellectual Work to the DDL. 16. Where do I find the actual procurement language that makes the submission of data to USAID’s Development Data Library (DDL) a requirement for grants, cooperative agreements, and contracts? Please note: These clauses and provisions have been uploaded into USAID’s Global Acquisition & Assistance System (GLAAS) and are available for use as awards are drafted or modified. 17. Will USAID begin making data a deliverable in new awards? 18. The award language notes that partners must submit to the Development Data Library (DDL) “a copy of any Dataset created or obtained in performance of this award.” How do we determine what qualifies as “created or obtained in performance of this award”? If USAID is funding a partner to collect data directly, that data must be submitted to the DDL. If the terms of the award allow the prime award recipient to channel USAID funds to other entities who then use those funds to collect data, that data must be submitted to the DDL. If other entities are collecting data without the use of USAID funding and the award recipient is providing technical guidance on those data collection activities, there is no requirement to submit that data to the DDL. If the implementing partner is using data collected by other entities but whose initial collection was not funded by USAID, there is no requirement to submit that data to the DDL. Example: USAID plays a part in a host government program to distribute long lasting insecticide treated nets (LLIN) nation-wide. Another donor funds the purchase of the nets. The local government funds the transport of the nets to schools and health clinics. Government personnel at the health clinics and/or teachers distribute the nets. Government personnel also collect data on the number of nets distributed and report this number to the central ministry of health using a local government computer system. Case 1: USAID only funds the communications campaign to publicize the mass distribution of the nets and to advocate their proper usage. USAID’s implementing partner retrieves the number of nets distributed from the central ministry of health to assist with the communications campaign. Required submission: None. As this data on number of nets distributed was not funded by USAID, there is no requirement to submit it to the DDL. Case 2: USAID provides funding to the implementing partner for the actual data collection as well as the communications campaign. In this case, the data collection is funded by USAID. Required submission: The partner will likely have access to a spreadsheet or database extract noting numbers of nets distributed by village, clinic, or district. This data must be submitted to the DDL. In instances where USAID and its partners are leveraging data collected by host governments (and not funded by USAID), USAID strongly encourages these governments to release this data publicly through their own information portals, in keeping with the principles of open data and/or their existing commitments under the Open Government Partnership(link is external). 19. As the prime award recipient, we are not creating or obtaining data. However, we are providing USAID funding to sub-awardees who are using this funding to collect data. Must sub-awardees submit this data to the DDL? If the terms of the award allow the prime award recipient to provide USAID funds to other entities who then use those funds to collect data, then USAID is funding the data collection activity, in which case the data must be submitted to the DDL. The prime award recipient is responsible for ensuring that all sub-awards contain the same DDL submission requirement contained in the prime award (See Question 14). Sub-awardees must therefore submit data generated under their sub-awards to the DDL. 20. Who really owns the data generated under USAID awards? Under the standard terms and conditions in USAID awards, the implementing partner owns the data. However, the Federal government has the right to obtain and use the data. For more detail, please consult 48 CFR 52.227-14 for acquisition awards and 2 CFR §200.315for assistance awards. The Bayh-Dole Act of 1980 changed the way the U.S. Government (USG) addressed intellectual property developed under awards. In the interest of spurring private sector innovation, the Bayh-Dole Act required that the USG provide intellectual property rights in data developed with USG funding to small businesses and non-profits, with the USG reserving a license. Bayh-Dole was later extended to all USG partners. The standard clauses in the Federal Acquisition Regulations, as well as provisions for Assistance, stipulate that the partners have ownership rights, with a broad license provided to the USG. Under both acquisition and assistance, USAID is generally provided a license to obtain and use the data produced under the award. 21. What if a dataset created by USAID staff, or created or obtained under a USAID award contains sensitive information? Must it still be submitted to the Development Data Library (DDL)? Per the U.S. Government’s Open Data Policy(III. 3. a.) (page 8), USAID is required to create and maintain an Enterprise Data Inventory (EDI) that accounts for all datasets funded by USAID, regardless of whether they can be made public. USAID staff and implementing partners must submit datasets funded by USAID, even if they contain sensitive information. If the submitter believes there is a compelling reason to not transmit the data to USAID, the submitter should note this. When data reveal private information about individuals that must be kept confidential consistent with ethical guidelines and federal regulations. For more information, please see ADS 579.3.2.3, ADS 579.3.2.4, and ADS 579 3.3.2. 22. What if there is a host country government policy (e.g. that data should not be shared outside the country) that is in conflict with the Executive Order and OMB Policy (M-13-13) or in conflict with related USAID policy? ADS 579.3.2.3 provides a number of principled exceptions to the release of data, based on OMB memorandum Guidance on Collection of U.S. Foreign Assistance Data (M-12-01). If data is restricted from release under a host government policy, USAID could withhold the release of such data under an exception. The exceptions include (among others) allowing USAID to withhold data from publication where, “the laws or regulations of a recipient country apply to a bilateral agreement and restrict access to information,” or “when public disclosure would interfere with the agency's ability to effectively discharge its ongoing responsibilities in foreign assistance activities.” In such cases, the policy directly addresses the situation and there is no conflict. Note, however, that the Open Government Directive (M-10-06) has a “presumption in favor of openness.” To ensure that these exceptions are rarely applied, and are used appropriately and consistent with the presumption of openness, agencies must document specific case-by-case justifications for all instances of reliance on such exceptions, per OMB M-12-01. As such, ADS 579 requires clearance from USAID’s Office of General Counsel that these exceptions were applied appropriately. See Question 21 for more information on using the DDL Submission Formto document exceptions. 23. ADS 579 does not address the specific circumstances related to the data created or collected under my award. What do I do? The breadth of the open data mandate makes it unlikely that a policy document can account for every circumstance surrounding data creation, collection, or submission. While ADS 579 attempts to be as comprehensive as possible, its related award language allows officials at USAID to apply discretion in keeping with the principles of open data, particularly as expressed in Executive Order 13642, OMB M-13-13, and Project Open Data. This is why USAID awards specifically note that data submission requirements apply “unless otherwise directed by the Contracting Officer (CO) [Agreement Officer] [AO] or the Contracting Officer Representative (COR) [Agreement Officer Representative] [AOR].” Partners should first direct questions to their COR or AOR. Should CORs or AORs have remaining questions, they should contact the Data Steward(s) assigned to their operating unit. Data Stewards who need further assistance are provided with additional resources and contact points during USAID’s Data Steward orientation. If you are a USAID Data Steward who has not yet participated in the Data Steward orientation, please contact opendata@usaid.gov. 24. ADS 579.2.h mentions “Data Stewards” in each USAID operating unit. Can you provide more information about what they do? USAID is investing in Data Stewards throughout the Agency as a resource that Agency staff can draw upon for guidance on best practices in data management. Data Stewards, in turn, ensure these best practices are transmitted to CORs, AORs, and the entire operating unit. Please see the Data Steward Scope of Work for more information. 25. Are Data Stewards primarily monitoring and evaluation specialists, mission executive officers, or foreign service nationals? Select an individual interested in learning about data or who has a background in data analysis, database administration, metadata standards, or quantitative research. 26. Should implementing partners contact Data Stewards with questions about ADS 579, its related data submission requirements, and their applicability to a specific award? No. Implementing partners must first contact their Contracting Officer / Agreement Officer Representative (COR / AOR). CORs and AORs who require further guidance should contact their Data Steward, copying opendata@usaid.gov for additional assistance if needed. Anyone can post a general question regarding USAID’s open data efforts in the open data forum on Stack Exchange. Technical questions regarding specific datasets that have already been made public can be posted on GitHub. 27. ADS 579.2.h notes that Data Stewards need to attend certain meetings. What meetings are required and how often do they take place? 28. Should a Data Steward form an open data team with regularly scheduled meetings in their operating unit (for example, involving CORs and AORs)? This approach certainly has merits, but the best way to work with mission colleagues will vary among operating units. Which approach to adopt is ultimately at the discretion of the Data Steward in consultation with their leadership. Regardless of approach, it is important that Data Stewards socialize the open data mandate in their operating units, particularly among CORs and AORs. Key messages to convey include the importance of making data a deliverable in new USAID awards and requiring documentation of the data delivered, in the form of a codebook or data dictionary. 29. How do I upload a dataset to USAID’s Development Data Library (DDL)? The DDL contains a detailed Help menu at data.usaid.gov. We recommend you check out the detailed User’s Guide and the videos and webinars posted within the Help menu. 30. When must an implementing partner submit the datasets created under a USAID award? Per the clauses and provisions for acquisition and assistance, implementing partners must submit datasets, "within thirty (30) calendar days after the dataset is first used to produce an Intellectual Work or is of sufficient quality to produce an Intellectual Work." Intellectual Work is further defined as, "all works that document the implementation, monitoring, evaluation, and results of international development assistance activities developed or acquired under this award, which may include program and communications materials, evaluations and assessments, information products, research and technical reports, progress and performance reports required under this award (excluding administrative financial information), and other reports, articles and papers." If 30 days is not feasible, partners must consult with their COR/AOR to determine a suitable time frame. Please see Question 32 for additional information on “Intellectual Work” and Question 31 for detail on submission time frames related to federally funded scientific research. 31. If an implementing partner is working with a dataset that “contains the results of federally funded scientific research” and does not submit the dataset to the Development Data Library (DDL) “within thirty (30) calendar days after the dataset is first used to produce an Intellectual Work,” is the partner in violation of the terms of the award? Not necessarily, since special terms and conditions apply to “datasets containing the results of federally funded scientific research.” Please see the February 22, 2013, memorandum from the White House Office of Science and Technology Policy for more information on federally funded scientific research. In this instance, per the clause/provision in the award, the partner is not required to submit the actual data to the DDL but to “submit notice” to the DDL, as long as the partner ultimately submits the actual data to a “publicly accessible research database.” Specifically, if the partner registers their data on the DDL “no later than when the data are ready to be submitted to a peer-reviewed journal for publication, or no later than five calendar days prior to the conclusion of the award, whichever occurs earlier,” the partner has complied with requirement to “submit notice” within timeframe specified in the terms of the award. However, per the terms of the award, the DDL Submission must also include “details on where and how to access the data.” This must be accomplished by indicating on the registration form where the data can be found in addition to including a hyperlink to the publicly accessible database. If the partner foregoes the option to submit the federally funded scientific research data to a publicly accessible research database, the partner must submit the data to the DDL in keeping with the 30 day time period specified in the clause/provision of the award. If the dataset requires review by an Institutional Review Board and the review is expected to take longer than the submission timeframe specified by the contract/provision, the partner must consult with their COR/AOR to determine a suitable time frame for submission. 32. Disclosing research data may require review by an institutional review board (IRB). What if the IRB determines that the data should not be released to the public or submitted to the Development Data Library (DDL)? Please see Question 21 regarding the submission of potentially sensitive data to the DDL. Please see Question 31 for instances where IRB review may extend beyond the deadline prescribed in the award fro submitting data to the DDL. Please also see USAID's related policies and guidance regarding Scientific Research and Protection of Human Subjects. 33. At times, partners may produce an interim analytical product to meet an important programmatic, scholarly, or political need. This product could be considered “Intellectual Work” and may be circulated among high-level officials, broadly distributed, or published in the local media or in a research publication. However, it may also be based on preliminary findings or incomplete data. Partners may not be comfortable releasing this data more broadly, given its preliminary nature. Are partners still required to submit this data to the Development Data Library (DDL)? The policy requirement to submit datasets that are “of sufficient quality to produce an Intellectual Work” is to ensure that USAID receives data that are as complete and as error-free as possible; well documented; and can be used to make evidence-based decisions. Until a dataset meets these criteria, USAID staff and partners should continue working with the data and/or the documentation as needed to prepare the dataset for submission to the DDL. datasets should generally not be submitted to the DDL that may mislead users, result in poor scholarship, or otherwise lead to erroneous conclusions. Partners must consult closely with their Contracting Officer Representative (COR) or Agreement Officer Representative (AOR) regarding their specific circumstance. Any data submitted to the DDL that is preliminary in nature, incomplete, or characterized by known data quality issues should be annotated as such by using the “Data Description” section of the “Data Detail” tab on the new DDL registration interface. 34. Who will have access to the data, and how will it be used? Data submitted to the Development Data Library (DDL) will first be made available to DDL platform administrators, , the Operating Unit of Origin, and to clearance officials specified in ADS 579.3.2.5. Datasets that are determined (via the clearance process in ADS 579.3.2.5) to be “Public” are listed in the DDL, and the data itself and supporting documentation are made available to the global public. datasets that are determined via the clearance process to be “Non-Public” or “Restricted Public” (see ADS 579.3.2.4) will be listed in the DDL only. Datasets tagged as Non-Public will remain unavailable to the public. Datasets tagged as Restricted will only be made available under certain use restrictions. When USAID partners register data with the DDL, they suggest a “Proposed Access Level” as part of the registration process. USAID uses this information during the clearance process to determine the final access level.The listing in the DDL for Non-Public and Restricted datasets will generally consist of only the dataset Title, Description, and other metadata fields marked as “Required” per the Project Open Data Metadata Schema. The DDL requires submission of all metadata marked as “Required” in the Project Open Data Metadata Schema as well as additional metadata fields required by USAID. "Open Data," per the Executive Order and OMB Policy on this subject, is defined as “publicly available data structured in a way that enables the data to be fully discoverable and usable by end users.” Those who have access to USAID’s open data are as diverse as the global public itself, and the potential uses are almost limitless. Making USAID data available to the global public is also in keeping with U.S. Government commitments under the Open Government Partnership (link is external). 35. 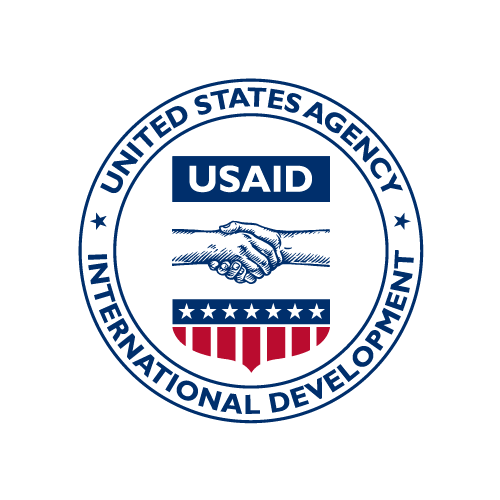 A partner organization (Partner A) is implementing an activity via a USAID acquisition or assistance award. The USAID staff member who manages Partner A's award would like to use the data created or collected under the award to support a separate activity. However, the separate activity is being conducted under a separate award, implemented by another partner (Partner B). Can the USAID staff member share the data created or collected by Partner A with Partner B? Under Partner A's award, USAID obtains a license to the data. USAID can use that license to share the data with third parties, where sharing the data is in furtherance of USAID's Federal purpose. USAID should request the data from partner A and can then provide it to Partner B. Alternatively, if the data has been made public via USAID's Development Data Library (DDL), the partner can retrieve the data from the DDL, as it will likely have a public license attached. If the dataset includes information about individuals, USAID (or Partner A) must first consult the informed consent agreements under which the data was obtained in order to determine the extent to which sharing is allowable. Even if the informed consent agreement allows Partner A to share the data with Partner B, USAID may require partner B to sign an agreement to keep sensitive or personally identifiable information confidential.